Our Portland personal training services are just that­—personal. We’re passionate about helping you get the most out of your workout time. And we believe wholeheartedly that one-on-one personal training sessions paired with holistic support for your health and wellness is the best way to do that. Each session is tailored to your physical strengths and weaknesses, activities outside the gym and personal health and fitness goals. All new clients go through an extensive in-take process. Our personal trainers care about all the little life details that surround your health and wellness. From this intake meeting and initial movement screening, your personal trainer expertly crafts workouts just for you. You can expect to see a lot of passion, thought, attention and expertise in this process. Our clients span all ages and have a wide array of backgrounds and goals. Their workouts are efficient and effective because every session is created just for them. 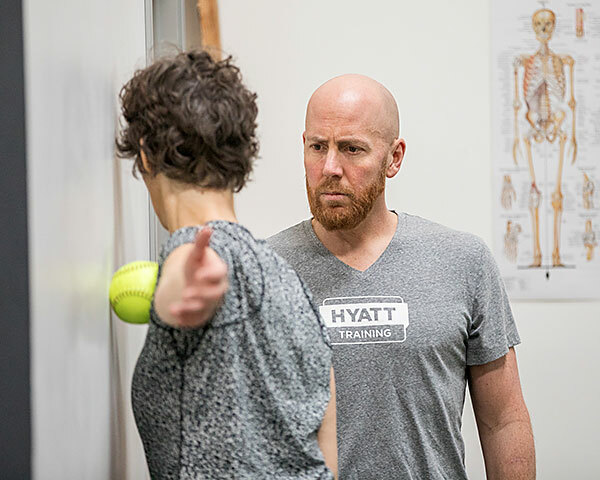 All Hyatt Training personal trainers go through an extensive interview process and are nationally certified and credentialed. Education is a core value at Hyatt Training. Our personal trainers earn extensive continuing education credits each year. 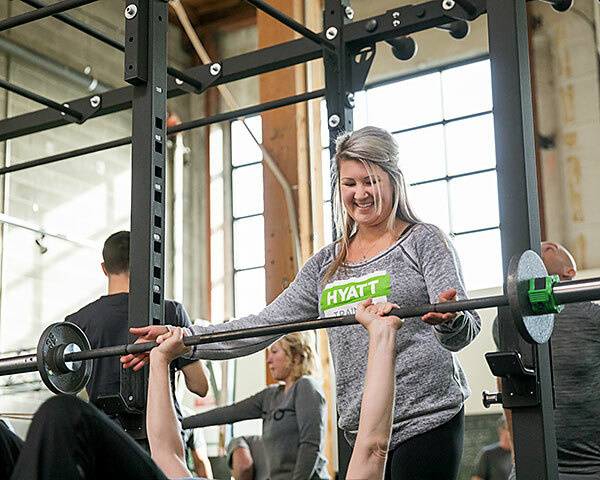 Hyatt Training is dedicated to being the best place to work for Portland personal trainers. This means you get to work with personal trainers who are great at what they do and who are happy doing it. Outstanding customer service is our primary goal. Our personal trainers’ enthusiasm will translate into service beyond your expectations. Hyatt Training’s weekly workouts provide structure outside of your personal training sessions. Our chalkboard is updated each week with new workouts that include base strength sets and high intensity interval training. Every year we challenge our clients to complete 10 high intensity interval training workouts between Jan. 1 and April 1 as part of our #HOPx10 challenge. 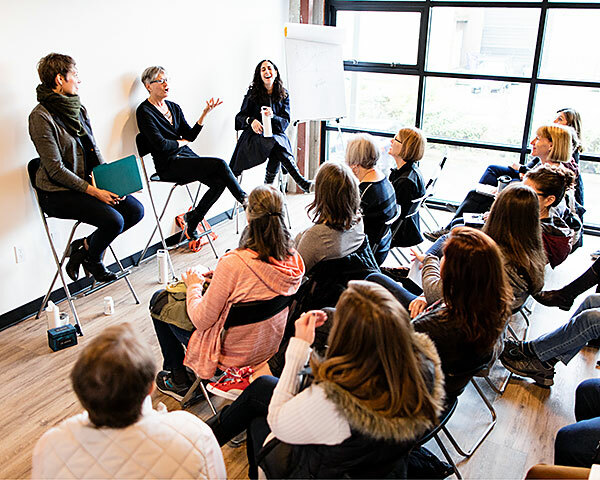 Our annual winter lecture series brings in experts on wellness-related topics from nutrition and cooking to meditation and sleep. We’re all about community. We love to see the friendships and camaraderie that develop among our training clients. Sign up today for a free, 60-minute consultation with one of our personal trainers!